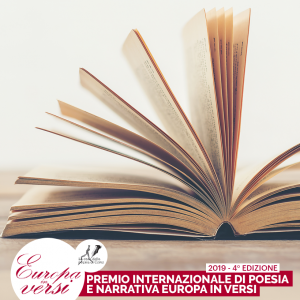 The International Poetry Festival Europa in Versi, in collaboration with La Casa della Poesia di Como, announces the second edition of the International Poetry and Fiction Award. The winners will have a central role in the International Poetry festival Europa in Versi, where thay will be able to read their poems or excerpts of their novels, meet internationally renowned artists, exchange opinions with affirmed poets and make themselves known to the literary critics. The winning poems will be published in the anthology of the Festival, along with those of the poets invited to Europa in Versi. The winning unpublished novels (respectively in the Unpublished Fiction and Young Unpublished Fiction categories) will also be published. The winning book in the Published Fiction category will be presented, in Como, in an exclusive event hosted by La Casa della Poesia di Como. Submissions must be sent by the 28 of February 2017. The awarding ceremony will be held during the International Poetry festival Europa in Versi. It will take place on the 8th of April 2017 in villa Gallia, Como. Let people who might be interested know about the award by sending them the flyer. Or participate yourself: download the regulations, fill out the registration form and send your works.